Hi! I’m Elise a lifestyle newborn and family photographer and videographer who focuses on capturing the authentic moments of my families. My images highlights the tiny details of a newborn to the organic natural moments of a family. My goal is to document you with your family now to be treasured for life. A little more about me. I married my husband in October of 2011. We have two beautiful girls who keep us busy. They bring us so much joy and I love capturing their everyday. You can find out more about my favorite picture here. I got started in photography a little over 10 years ago when I got my first DSLR. I always had a camera with me, one so small it fit inside an Altoids can. Once I got my DSLR I wanted to learn everything I could about taking pictures and shot in manual from that point on. I invested many hours educating myself and much trial and error. Not all pictures were keepers. But the more experience I got, the better my pictures got. I was determined to take great pictures before I became a mom. 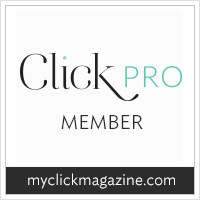 I got so confident in my skills, I finally came up the nerves to apply to be a Click Pro*. I was so excited to be accepted on my first try! I started taking clients back in 2014 and found I love capturing families and meeting new people. The relationships I have built with my clients has been the most rewarding part of this job. I love seeing their families grow over the years. What I enjoy the most is sharing parenthood stories with my clients. It helped me a lot knowing I wasn't not alone on this journey. My passion for photographing other families has continued to grow every year. My favorite type of session is lifestyle. (You can learn more about lifestyle photography here) I love capturing families in their home environments. It is where they are most comfortable and relaxed. It truly helps me to capture the authentic moments. I also recently started offering family films (video) as well. I feel in love with the process of recording clips of my own family, that I knew I had to offer this to other families as well. My favorite video of my family is below. It is two years old and I still love it. My girls love watching it too! Photography has become a blessing for me. It has been a great creative outlet for me since being a mom and giving up my full time job. It allows me to get that little break from my girls and truly meet some amazing people. I love documenting my own family and would love to capture yours.